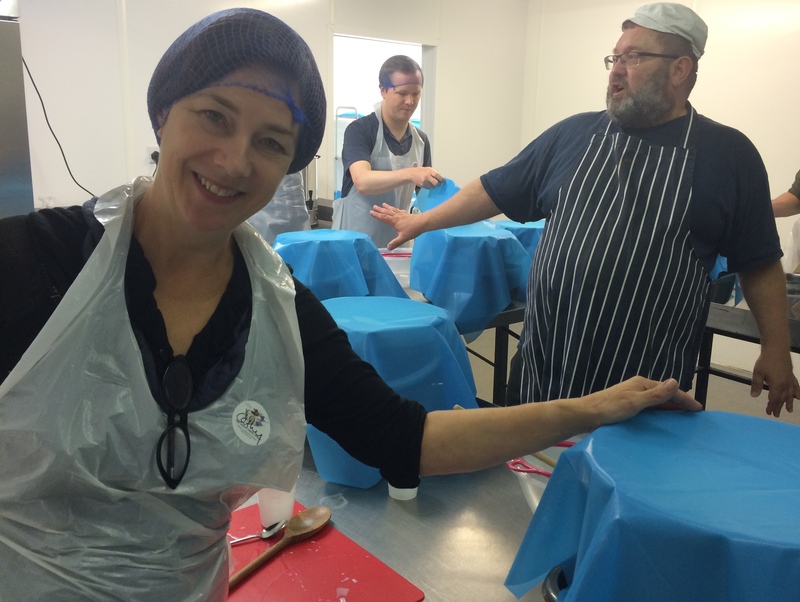 I recently spent a wonderful day in deepest Tottenham in north London, learning the fine art of cheese making. Because obviously a girl needs to know how to do that. 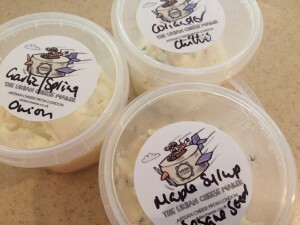 I’d already tried some of the fabulously tasty cheeses made by The Urban Cheesemaker and so my friend Ros and I decided to go a step further and get our hands in some buckets of milk. Philip was highly entertaining and an excellent teacher. Mary kept us supplied with little pieces of their award winning cheese and helped us out when our own creations looked like getting out of hand. She also made great cakes for tea time. Philip gave us an introduction with a bit of essential Health & Safety stuff (knives are sharp, hygiene is important if your going to keep sticking your arms up to the elbow in milk, that kind of thing). He told us about the magnificent herd in Sussex which keeps him supplied with the necessary milk and he threw in a spot of science that I’ve now forgotten. Oops. 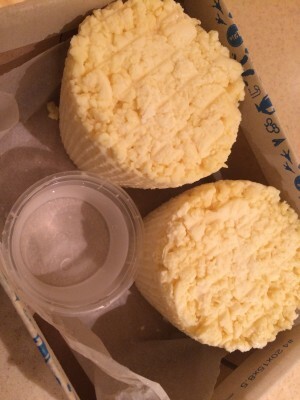 We made three kinds of cheese: curd cheese, mozzarella and a hard cheese that should be ready in time for Christmas. In one day! The headlines are that you can do this at home with a bowl, a bucket, good quality milk, rennet, some starter and a fair bit of patience. I think I like doing it in a professional dairy with a teacher to keep an eye on me, but we’ll see, I might experiment – you have been warned! Like a pair of lactose nursemaids, Ros and I did lots of taking of and maintaining temperatures. There’s also some grappling to be done with the buckets of thickening milk. We sliced and turned our embryonic cheeses, to distribute the heat evenly. Our different cheeses started life similarly – what sets them apart is basically, apparently, the amount of starter we used and the temperature. Eventually it was time to channel Little Miss Muffet and separate the curds from the whey. A few of our fellow cheese trainees took some whey home – it seems you can use it in baking or just consume it as a protein drink. I didn’t – I was already worried about how I was going to fit so much cheese in my undersized fridge. 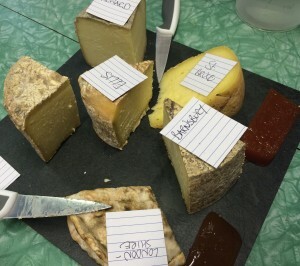 Next up was some heavy duty cheese squeezing, then our soon-to-be fromages had a rest while we enjoyed a lovely lunch. There was cheese, obviously, and a wonderful griddled vegetable and couscous salad. I won’t be able to report on the hard cheeses for a couple of months, but I can confirm that they are definitely getting on everyone’s nerves by taking up residence in this shoe box in the fridge. Yes, really. All I want from Santa is a tiny sliver of your home made cheese!